THIS Sunday it will be Subiaco taking on Swan Districts in the 2018 WAFL Colts Grand Final at Optus Stadium. Both sides have had sensational seasons, with Subiaco taking out the minor premiership and Swan Districts finishing third. The Lions will be looking to win their first WAFL Colts premiership since 1989, while the Swans will be looking to win their seventh Colts premiership and first since they went back-to-back in 2007 and 2008. In the four matches they have played each other this year, Subiaco has won all of them by an average 35 points. In their first encounter in round three, the Lions cruised to a 36-point victory on the back of brilliant performances by the 2018 Jack Clarke Medallist Liam Hickmott (27 possessions and seven tackles) and the 2018 WAFl Colts Leading Goalkicker Jack Mayo (14 possessions and five goals). For the Swans the likes of Graydon Wilson (18 possessions and 10 tackles), and Jackson Beck (17 possessions and nine marks) fought admirably. In round 12 the Swans sent a scare through the Subiaco line-up when they got within two goals. Ultimately though the Lions prevailed by 21 points, with Jake McKinnon (28 possessions and 13 tackles) leading the way. Livewire forward Jarrod Cameron led the way for the Swans with 26 possessions, six marks, six tackles and five inside 50s. In the Second Semi-Final, Subiaco defeated Swan Districts by 46 points on the back of brilliant performances by Luke Foley (22 possessions, five marks, five tackles, three inside 50s and two goals) and Nathan French (25 possessions, five inside 50s and three goals), as well as a host of others. For the Swans Mitchell Bain (24 possessions and six tackles), Wallrodt (15 possessions and four goals) tried hard. Both Subiaco and Swan Districts rank highly in a number of key categories. In terms of possessions the Swans rank number one in the competition with a total 6067 possessions at an average of 243 per game, with the likes of Riley Garcia (25 per game), Mitchell Bain (23), Graydon Wilson (20) and Jackson Beck (19 leading the way. While on the other hand, the Lions rank number two in the competition with 6043 at 241 per game. Tristan Hobley (27) and Liam Hickmott (26) rank one and two in the comp while Luke Foley (25), Wil Hickmott (22) and Zane Shellabear-Healey (20) are also prolific ball-winners. While in terms of firepower inside 50 the Lions are number one after booting 217 goals across the season. Jack Mayo took out the WAFL Colts Leading Goalkicker Award after booting 48 goals from 19 games, while Jordan Faraone (21) goals) and Nathan French (15) have also proven to be dangerous in the forward half for the Lions. For the Swans, Atem Deng led the way with 22 goals with Patrick Farrant (19) also finishing in the top 10 of the competition. 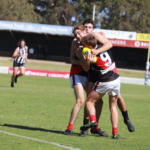 But both sides have also showcased they are excellent two way running teams with Swan Districts ranking number one for tackles and Lions ranking third. The Swans have the number one tackler in the competition in Sebastian Bright (153 tackles), while for the Lions Liam Hickmott (144) and Jake McKinnon (128) are ranked two and three in the competition. The big-bodied midfielder is one of the premier draft prospects this year and is shaping up as a big-game player already in his career. He is tough around the stoppages, has elite skills and has the ability to run all day. He can also drift forward where he uses his marking prowess to be a key focal point. The Jack Clarke Medallist is one of the best clearance players in the competition due to his clean hands, footy nous and elite skill. He ranked second in the competition for possessions (484 at an average of 26 per game) and for tackles (144 at eight per game). His contested and clearance work is similar to that of North Melbourne star Ben Cunnington. The runner-up in the Jack Clarke Medal, Hobley is one of the best outside midfielders in this year’s competition and it isn’t hard to see why. His dazzling skills, incredible vision and sound decision-making make him a threat for opposition teams when he’s on the outside. He ranked first in the competition for possessions (505 at 27 per game), second for marks (100 at five per game) and was in the top 20 for tackles (68 at four per game). The Carine junior took out the WAFL Colts Leading Goalkicker Award after booting 48 goals from just 19 games. He is strong in one-on-one contests, powerful on the lead, is agile, has a great shot for goal and possesses an excellent field kick. He has also shown versatility in his ability to play in the ruck as well as in defence when required. The reigning Newton Screaigh Medallist provides excellent run out of defensive half for the Lions and is often a catalyst for their attacking forays. His ability to either weave his way through congestion or break tackles and then spot a team-mate further up the field makes him one of the most damaging players in the competition. The High Wycombe junior is a bonafide midfield star and it isn’t hard to see why. He is tough around the stoppages, he’s got pace to burst away from opponents and has penetrating skills to carve the opposition’s defence to ribbons. He ranks third at Swan Districts for possessions (315 at 23 per game), second for total tackles (78), and sixth for marks (56). The West Coast Eagles’ Academy member is always dangerous inside the forward 50 due to his blistering speed, dazzling skills and incredible footy nous. Like his older brother Charlie, Cameron also thrives on defensive pressure and expect him to make the Subiaco defenders nervous. Despite only playing 10 games this year, Germs won the fifth-most hit-outs by any ruckman in this year’s WAFL Colts competition (354 at 35 per game). His ability to control the ruck contests and palm the ball to his midfielders is first class. The Western Australia State Under 18s Academy member will have his hands full when he lines up on Subiaco’s gun key forward Jack Mayo. But Pasini is more than up to the task. A no-nonsense defender, Pasini has proven this year he can shut down any key forward due to his determination, physicality and aggression in the contest. The Centrals product is one of the best attacking half-back flankers due to his explosive pace and reliable kicking skills. More often than not, Wilson will tuck the ball under his arm, take on the opposition defenders and then lace out a teammate further up the field. IN the Second Semi-Final of the WAFL Colts competition, Subiaco defeated Swan Districts by 46 points at Leederville Oval. The result sees Subiaco advance to the Grand Final, while the Swans will take on Peel in a do-or-die preliminary final at Fremantle Oval next week. Below were the best players. The 2016 WA Under 16s State Academy member produced another outstanding performance. He gathered 24 possessions, took eight marks and recorded four inside 50s to be one of the most influential midfielders on the ground. His ability to be the “link-up” player was outstanding, and his elite decision-making and sharp skill set make him a tantalising prospect. The Kingsway product showcased why he is a big-game player with a scintillating performance against the Swans. He finished with a game-high 25 possessions (11 contested), five inside 50s, three tackles, three marks, two clearances and three goals. The reigning best and fairest winner was his tough and combative self in the middle, often burying himself into congestion to win the ball for his team. He gathered 21 possessions (11 contested), laid a game-high 12 tackles, and won an equal game-high five clearances in a brutal performance. The classy wingman displayed all of his magnificent traits against the Black and White. He was polished with his disposal, smart with his decision-making and damaging with his running ability. He finished with 16 possessions, six marks and three inside 50s. The Newton Screaigh Medallist was brilliant yet again for the Lions with another superb game. He collected 15 possessions (10 contested), took six marks and recorded three inside 50s. His ability to shift between half-back and midfield makes him one of the most damaging players in the competition. The Carine junior was sublime in defence for the Lions. He only gathered six possessions, but he took four marks and recorded five spoils to be one of the best defenders on the ground. His role in quelling Swan Districts star Patrick Farrant was crucial to his side’s victory. The Sorrento-Duncraig junior produced a performance that highlighted why he is being mentioned as a possible first-round draft selection. In his first game back from a quad injury, Foley accumulated 22 possessions (11 contested), won five clearances, laid five tackles, took five marks, recorded three inside 50s and kicked two goals; an impressive outing by anyone’s standards. The 17-year-old was simply phenomenal for the Lions with a breath-taking performance. He finished with 17 possessions (nine contested), six tackles, six inside 50s, three clearances and two goals. The way he is able to break the lines with his pace and skill makes him one of the most damaging half-forward flankers in the competition. The Bassendean junior was electrifying for the Swans, often using his lightning speed to break through Subiaco’s defensive zone. He finished the game with 11 possessions, two marks and a goal as he tried to will his team to victory. Fresh off a best afield performance last week, Bain continued to demonstrate why he is a big-time player with another outstanding game. Arguably the best player for the Swans, Bain gathered 24 possessions (17 contested), laid six tackles, won four clearances, took four marks and recorded three inside 50s. The big-bodied midfielder was awesome in the stoppages for the Black Ducks. He gathered 18 possessions (10 contested), won five clearances and laid three tackles to be a force in the middle for the Swans. The 2017 WA Under 16s State Academy member was lively in the midfield for Swan Districts with 16 possessions (seven contested), three clearances, two tackles and two marks. His speed through the midfield worried Subiaco on occasions. The Centrals Football Club product enhanced his draft stocks with a marvellous performance on the half-back line. He finished with 18 possessions, six marks, two tackles and two inside 50s to be one of the Swans’ best. Admittedly it wasn’t Cameron’s best game, but there were glimpses that indicated he is ready for the big stage. He gathered 12 possessions (five contested), recorded five inside 50s, took four marks and won three clearances as he tried to spark some life into the Swans line-up. He may not be the most flamboyant defender, but Pasini is rated as one of the best key defensive prospects for the 2019 AFL Draft. Against Subiaco, Pasini intercepted a lot of attacking forays and rebounded with aplomb. He finished with just nine possessions, but he recorded seven spoils and five marks to be amongst the top Swan’s players for the match. The South Bunbury product was dynamic in the forward half for the Swannies. He gathered 15 possessions, took nine marks, recorded seven inside 50s and kicked four goals to be the most dangerous forward for Swans. 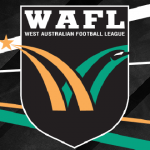 IN the 2018 WAFL Colts’ finals series, East Fremantle thumped arch-rivals South Fremantle to the tune of 62 points at Fremantle Oval in the elimination final, while Swan Districts accounted for Peel Thunder by nine points at Claremont Oval to advance through to the grand final. Lenny Fogliani was at both games and noted down the best players. The East Fremantle Power junior was at his unrelenting best against the Bulldogs with 26 possessions, 14 tackles, three marks and two inside 50s. His tenacity in the contest to win the ball for his team was first class, while his outside link-up play was brilliant. The 2018 U18s All-Australian showcased why he is one of the leading prospects for next year’s AFL draft with another polished performance. Sharp accumulated 24 possessions, took nine marks, recorded eight inside 50s and laid three tackles in an impressive display. The Mullewa product manufactured a performance that demonstrated why he is a highly-sought after prospect for this year’s AFL Draft. He finished with nine possessions, eight tackles, three marks and four goals to be one of the most dangerous forwards on the ground. The Aquinas student was again busy in the midfield for the Sharks with 26 possessions, five marks, two inside 50s and a goal. A real feature of Robinson’s game was his crisp disposal especially when going inside 50. More often than not, Robinson would lower his eyes and then spear the ball onto the chest of his forwards. The Booragoon junior was deployed as a big-bodied midfielder and it paid dividends for East Fremantle. He bustled his way to 20 possessions, five tackles and five inside 50s to be one of the most influential players on the ground. His draft stocks for 2019 are rapidly rising. The Collie product was again superb for the Sharks with another polished display off the half-back line. With the ball in hand, Davidson was never flustered and always made excellent decisions. The combination of his combative toughness and silky skills makes him an exciting prospect. He finished with 12 possessions and five marks. Without doubt the star of the show! Made the key focal point in the second half, O’Reilly finished with 19 possessions, nine marks and a bag of six goals to drag the Sharks from a 13-point deficit to victory. His contested marking as well as his exceptional goal-kicking routine makes him one of the best key position prospects in this year’s Draft. The East Fremantle Captain produced a true captain’s performance to lead his team to victory. The 2016 WA U16s State Academy representative finished with 11 possessions, 29 hitouts, four marks, four tackles and a goal. The Cockburn junior was back to his best against the Sharks. He gathered 14 possessions, laid five tackles and grabbed three marks to be one of the better Bulldogs’ midfielders. His toughness in the contest along with his endurance and excellent skills make him a damaging midfield prospect for the 2019 AFL Draft. 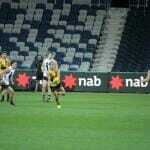 The WA State U18s Academy representative was dynamic and explosive in the forward half for the Bulldogs. Moore’s forward craft had the Sharks defenders terrified whenever the ball went inside 50. He beat players on the lead, forced them to put their hands in his back and his finishing around goal was first class. He finished with 12 possessions, five marks and five goals. The Secret Harbour product was dazzling on the half-back line for the Bulldogs with 26 possessions, and four marks. His composure under duress was magnificent and his foot skills were impressive. The Wagin product was again South Fremantle’s best player, underlying his status as one of the best midfielders in this year’s draft pool. He finished with 25 possessions, six tackles, two marks and two inside 50s as he tried to will his team back into the contest. On a tough morning for the South Fremantle defenders, Spooner stood out as he manfully tried to combat East Fremantle’s attacking forays. He collected 13 possessions and laid four tackles as he tried to inspire his fellow defenders to beat their direct opponents. The South Bunbury product continued his fine season with another excellent performance. Against the Swans, Riley accumulated a team-high 30 possessions, an impressive seven inside 50s, took five marks and laid three tackles to be one of the Thunder’s best. The big-bodied midfielder fought hard in the stoppages all game for the Thunder but it was to no avail. 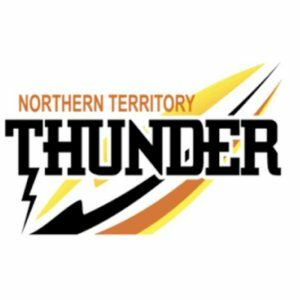 The Baldivis junior racked up 29 possessions, laid six tackles, recorded six inside 50s and took four marks to be the Thunder’s best player. His physical contested style of play should have him in the recruiters’ sights. Another big-bodied midfielder who tried to gain ascendancy in the middle of the ground, Randall continually bustled his way through packs for the Thunder. He finished the game with 21 possessions and five tackles. One of the best attacking half-back flankers in the competition, Pina tried his best to give the Thunder some drive from defence. His willingness to take the opposition on was outstanding, whether it was him using his elite skills or pace. He finished the game with 18 possessions, four marks and three inside 50s. They say the big guns come out in September, and this was very evident with Carter’s game. The Fremantle Next-Generation Academy member was electrifying on the wing with 20 possessions, seven marks, six inside 50s and four tackles. His skill, speed, courage and dare to take opponents on are all outstanding traits. The 2016 WA U16s State Academy representative was deployed in a host of positions for the Black and Whites, and he handled them with aplomb. He was originally stationed in defence and it was here that his intercept play shone, while on the wing and up forward, his attacking flair was on full display. He finished with 15 possessions, three marks and three tackles. Arguably the best player on the ground, Bain showcased why he is one of the premier midfielders in the competition. His speed out of contests, his dazzling skills and his tenacious defensive efforts were all to be seen. A highlight of his game occurred in the fourth quarter, when he stole the ball out of congestion, burst away and then speared a ball onto the chest of team-mate Kade Wallrodt. His final stats were 31 possessions, nine inside 50s, eight tackles, and five marks. The 2017 WA U16s State Academy representative was one of the Swans’ best players after a stunning performance in the midfield. He collected 24 possessions, and took three marks as he played the link-up role to perfection. Another feature of his game was his ability to crumb marking contests, spinning out of danger and then passing the ball to a team-mate. The Centrals Football Club product was brilliant on the half-back line for the Swans, as he gave his team a heap of drive from the defensive half. He accumulated 14 possessions, and laid six tackles to remind recruiters of his potential. The younger brother of Brisbane star Charlie, Jarrod was electrifying in the forward half. He gathered just nine possessions, but took seven marks, laid five tackles, recorded three inside 50s and nailed four goals to be the most damaging forward on the ground. His contested marking was a real highlight of his game. The Caversham junior is a quiet achiever on the football field, but his team-mates and coaches would be rapt with his performance. He collected 12 possessions, laid five tackles and took three marks, but more importantly kept his direct opponent (Lachlan Cullen) to just one goal.